Most people know every room should contain a focal point – one wall awash with a striking color or a distinctive piece of furniture that anchors a room and defines its character. Why relegate beautiful and sturdy wicker tables and chairs to the outdoors? They can add a stylish touch to every room. Since they're built to last, they're particularly well suited to rooms that see a lot of activity. If you have children, you know this can apply to every room in the house, and particularly the family room and kitchen. After hanging the dutiful mirror in the foyer, many forget how mirrors can invigorate small spaces and add instant visual interest. Add mirrors to the back wall of bookcases and against stacked wall shelves – transforming lifeless spaces into instant double-takes. When you need extra dining space for guests, it's hard to beat the functionality of a slide-out shelf that extends into a table. During a major sporting event, your guests may be flipping coins for the chance to dine at this prime spot. The surface can be used as a computer table when you need it, too. 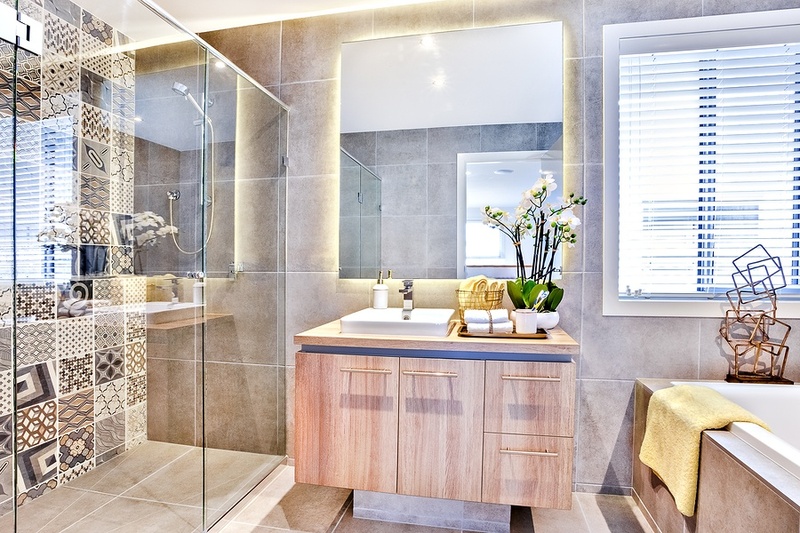 Bathrooms can be tricky to decorate after you're finished with the fundamentals. A medallion – once a notable adjunct to ceiling fans – can bring height and personality to a bathroom of any size. A decorative shower drain can provide early morning pick-me-ups that – who knows? – could inspire creative thoughts all day long. Accomplish two design objectives at once: bring a symbol of Americana – a shutter – indoors and bring order to your kitchen, home office, bedroom and anywhere else where all those little pieces of paper tend to pile up by inserting them in the slats. Paint an old shutter or buy a new shutter; this idea is a keeper worth repeating. These two-in-one shades offer a sheer or sun-control fabric on one side and a blackout fabric on the other, making them ideal for windows that defy an easy choice. With duo shades, you can have it both ways – and in a unified window treatment. Make an appointment for a free in-home consultation with a window expert from Polar Shades – and learn how America's premier shade manufacturer can provide the crowning touch to a room that commingles those big, bold design moves with the subtle flourishes. Call Polar Shades at 702-260-6110 to get started installing window shades in your home today.